The threat environment is changing quickly. Isolated, specific technologies for fraud and malware prevention cannot protect businesses from threats posed by real-world connectivity with countless mobile and remote devices. ThreatMetrix™ offers essential business protection through integrated defenses from fraud and cybercrime. ThreatMetrix is the first company to combine advanced device identification and malware detection in a single platform backed by a global network of shared intelligence. Delivered from the cloud, the ThreatMetrix™ Cybercrime Defender Platform helps businesses protect the integrity of online transactions, accounts and identities with layered and integrated defenses. Blue Turtle Technologies has entered into an alliance with ThreatMetrix, as reseller of its leading fraud prevention solutions. The H2 2018 Cybercrime Report by ThreatMetrix, a LexisNexis Risk Solutions company, has revealed a change in fraudsters’ tactics toward attacks on mobile particularly prevalent in financial services. Nevertheless, anything which drives down fraud must benefit all but the fraudsters and so SAS and ThreatMetrix merit commendation. SAS has partnered with digital identity solutions provider ThreatMetrix, a LexisNexis Risk Solutions Company. Analytics company SAS has joined forces with ThreatMetrix to help creditors establish the identity behind online credit applications, while fighting identity theft and synthetic identity fraud. ThreatMetrix, a LexisNexis Risk Solutions Company, today released insights into cybercrime attacks on the gaming and gambling sector. Why Nudge.ai? Reach out to the decision makers at ThreatMetrix with a personalized email - let them know that you found their recent news mention interesting. Nudge.ai’s relationship intelligence platform can help you find the right executive to reach out to at ThreatMetrix, such as Reed Taussig, President and CEO, or John Lindner, Vice President of Sales - Americas. Then get in touch and start a conversation. Executives can be difficult to reach, but every company has connectors who bring together people and ideas. At ThreatMetrix, people like Frank Teruel, and Dan Welch are likely connectors. How does @CertifID lead the fight against wire #fraud , securing $775M in wire transfers? Read their story: bit.ly/2VEG7ka . Did you know? The #financialservices industry is facing increased account login attacks on #mobile . We outlined the top 7 trends in online & #mobilebanking : bit.ly/2I9fYps . When ThreatMetrix is mentioned in the news, Nudge.ai often sees topics like Europe, and Artificial Intelligence. If your conversation focuses on these topics, you’ll probably get ThreatMetrix’s attention. When ThreatMetrix is mentioned in the news, companies such as Bain Capital Ventures, Datastax, and Signifyd are often also mentioned. These companies can serve as customer examples. Employees who are often in the news are usually open to starting conversations or exploring ideas. Nudge.ai's sales AI saw Frank Teruel, Dan Welch, and Vanita Pandey from ThreatMetrix recently mentioned in the news. 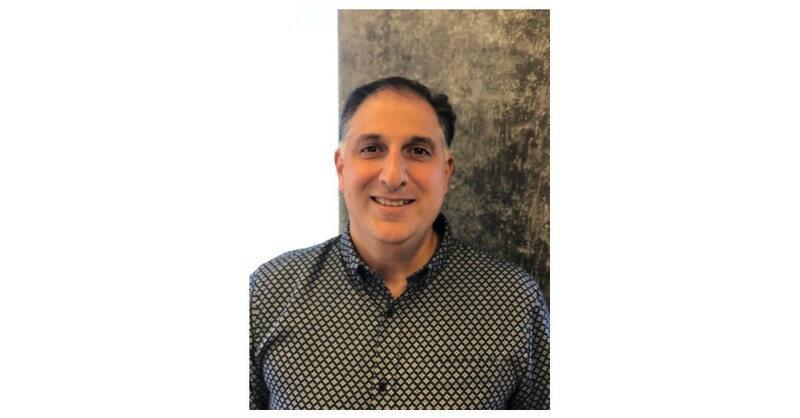 Agari appoints Armen Najarian as CMO. Najarian joins with more than 15 years of Silicon Valley technology and cybersecurity marketing expertise. Who in your network can introduce you to ThreatMetrix? Nudge.ai finds the best pathway to reach contacts at this company.